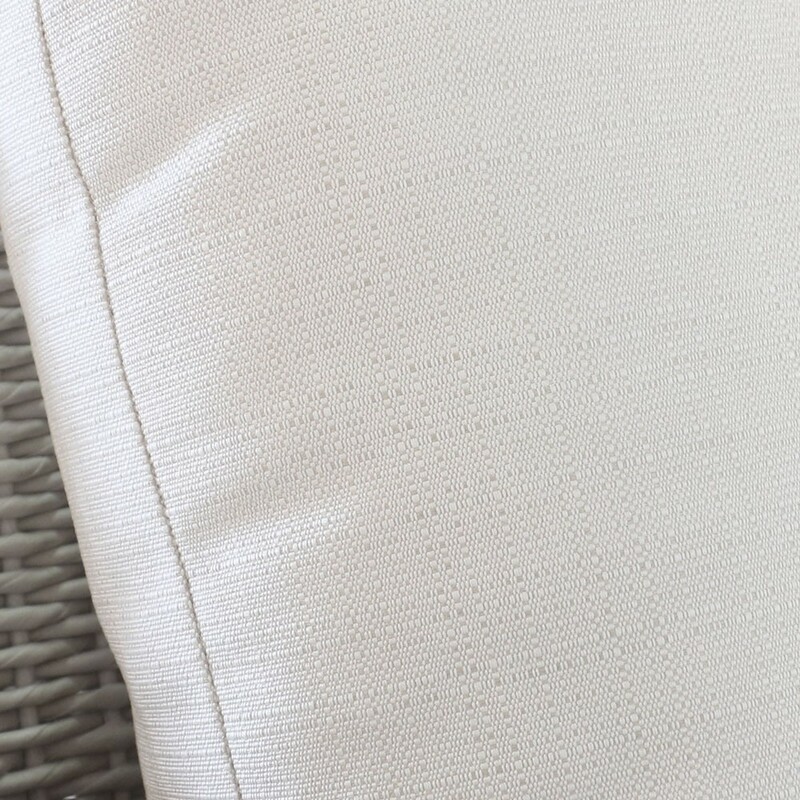 Imagine being able to put your feet up and relax in incredible style…Give in to luxury and sophistication with our very chic Valhalla Outdoor Wicker Sofa in chic White. A stunning piece in a resplendent collection, the Valhalla Outdoor Sofa showcases beautiful, delicate wicker, in a timeless design that suits a great many spaces! 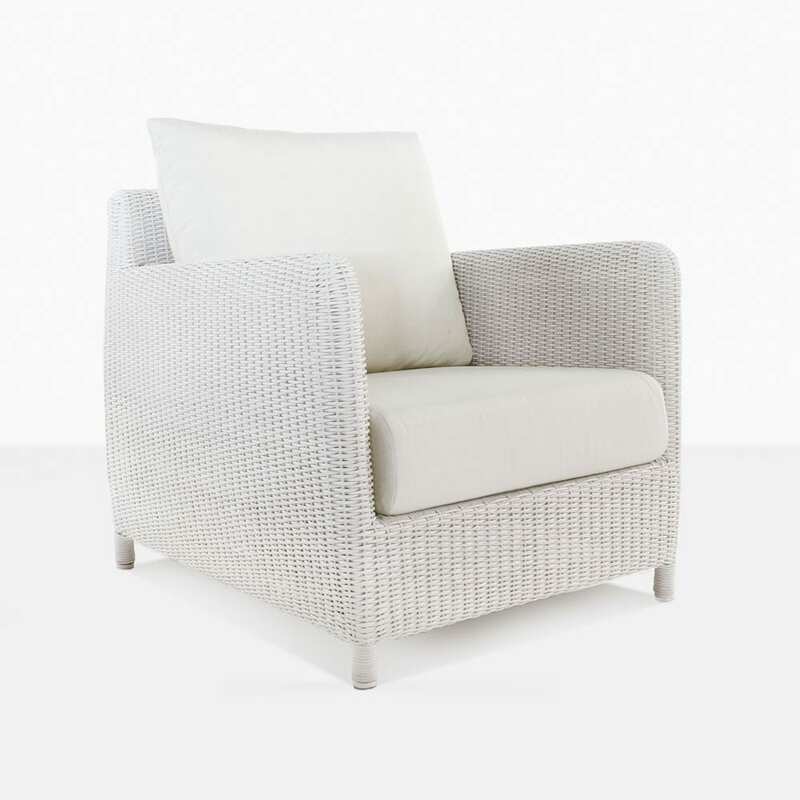 Place your Valhalla White Wicker Sofa in the midst of your garden, surrounded by greenery and be charmed by the picturesque setting you have created. Overhand a matching white Sunbrella® Umbrella from our collection, add in a coffee or side table and sink into the magnificent luxury you’ve designed just for you! Perhaps you have more space, and want to add more seating? Try adding a second Sofa, and a couple of the epically comfortable Valhalla Club Chairs. You’ll be thrilled with the dreamy setting, that provides a haven of ease and relaxation for all! 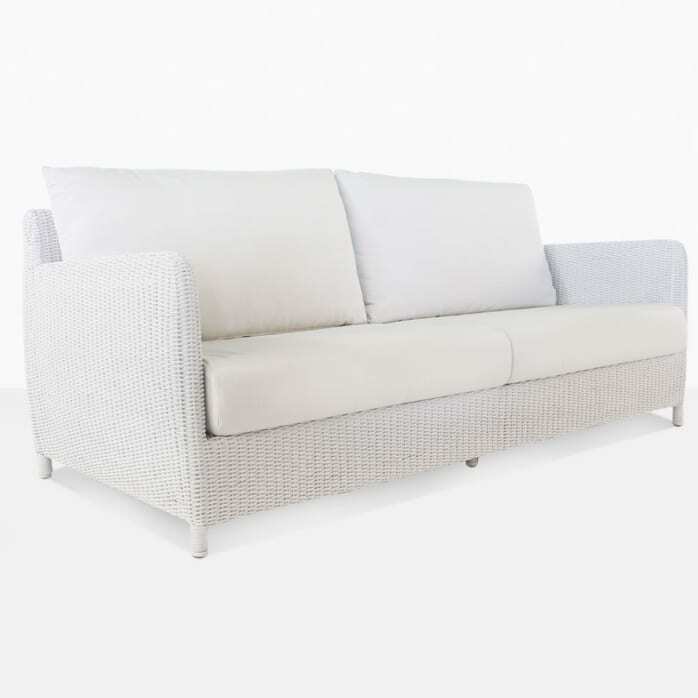 The Valhalla Collection features this beautiful wicker Sofa, as well as a fabulous Club Chair, and is available in both White and Chalk, so you can truly create a space that is unique to you! The Valhalla Sofa and matching Club Chair are constructed from heavy duty, robust materials. Enjoy the look and feel of long lasting powder coated aluminium, wrapped with UV treated, all weather wicker and finished off with Sunbrella® cushions filled with sumptuous QuickDry® foam. This is pure luxury and exceptional quality. Design Warehouse is the leader in outdoor furniture in New Zealand, because we care about the finished product. We want it to look amazing and last for a long time! So, while you’ll see a cohesion of beauty among our deep seating, loungers, dining, relaxing and shading furniture, you’ll also find that these products have all been carefully selected to be able to battle the changing weathers! 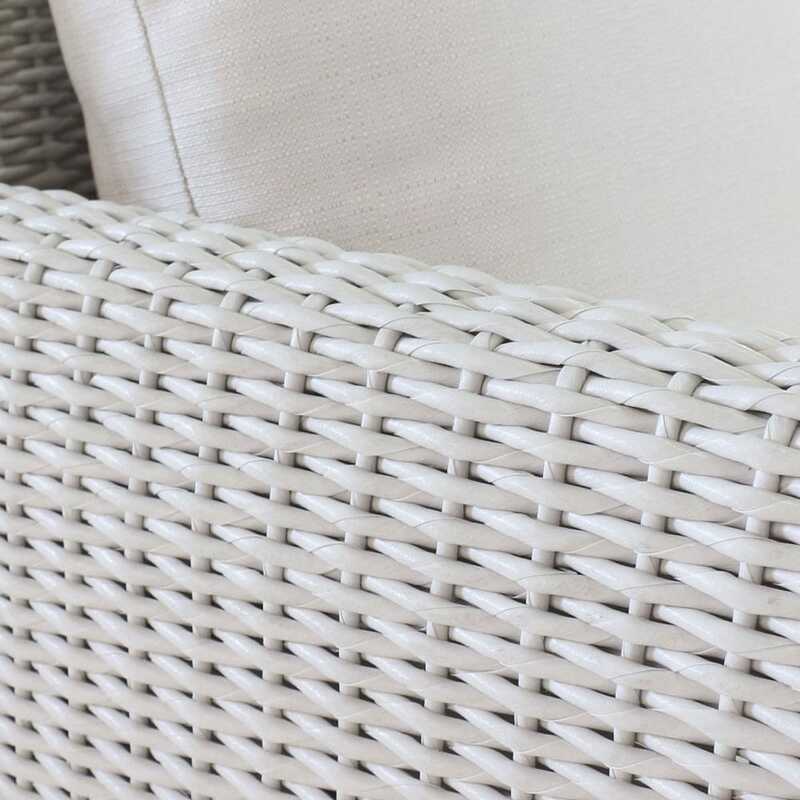 To change the way you live in the great outdoors, call Design Warehouse today and order your Valhalla White Wicker Outdoor Sofa now!